Everyone loves to have choices. 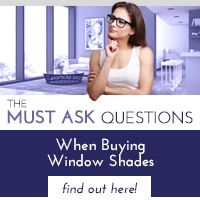 However, when it comes to picking the right window shades for your kitchen, too many options can become bewildering for those new to home decorating. Let the Light In. Unless you're a bachelor who loves dining out, the kitchen is the household's natural gathering place. It's also generally one of the most frequently used spaces, and a place where plenty of natural light is often appreciated. There are a few home options designed to let in natural light while also keeping a privacy barrier. Pleated and honeycomb shades of lighter colors are two popular choices, but for a more sophisticated look, consider adding semi-sheer fabric window shades that offer plenty of light and subtle privacy even when lowered. Select Current Colors and Prints. Choosing cohesive colors for your window shades not only give a room a more pleasing and comprehensive look, but it also changes the entire tone. For example, if you have a kitchen on the smaller side, adding window shades comprised of lighter fabric and cooler colors will give it a larger and brighter feel. On the opposite side of the spectrum, for oversized and otherwise intimidating kitchens, darker, richer colors will create a more inviting and cozier atmosphere. Another point to consider is the amount of direct sunlight your kitchen windows receive. Sunlight can fade fabrics over time, unless you choose high-grade fabric capable of withstanding such exposure. Add a Little Texture. 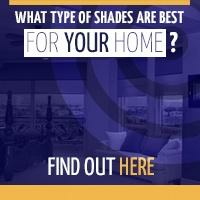 Fabric shades are a great way to add a unique and organic texture to any room. This look also tends to give a kitchen a more relaxed and comfortable atmosphere that works for most decors, whether it's modern or country-esque. Add in Some Curves. Straight lines are another common feature of most kitchens. 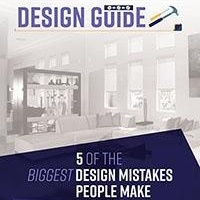 From the refrigerator to the cabinets, everything is based around hard lines and types of squares. Adding a window treatment featuring soft curves is a subtle way to add a bit of variance and warmth to the space. 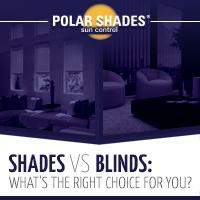 To learn about window shade options ideal for your home, call us at 877-260-6110 or click here to request a quote.